Hi, I try to make runways with photoreal texture. In the SDK, it explain that we could have detailed textures blended on diffuse texture (for concrete or macadam look) and rain effect can be allows in "precipitation check box". But it doesn't work in Fs. I have tryed to make the bgl with Gmax and 3ds but the result is same. I have tested texture in bmp, dds, dxt or grayscale, same result. Is there any hiden parameter or checkbox to allow? special name to attribuate to the texture ? something else ? Any news on this area? Now that I'm on the FSX gamepack I'm very interested in a real "FSX looking" scenery. When I tested these features they worked just fine. All I did was following the settings shown in the FsX Material document of the SDK. Not sure if this can really be used for custom runways though, as making ground polygons with MDL files has its own trouble . But for buildings it works fine. It's works fine now. The trouble was probably because the difuse texture had an alpha channel but I'm not sure. Now it's work also with alpha channel, in fsx mode export with the rights parameters (Source blend, etc). 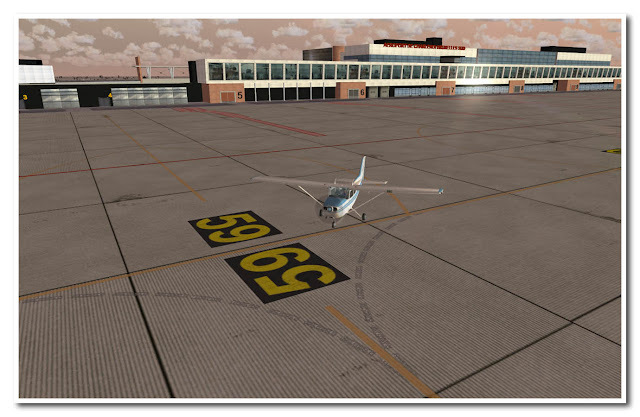 I have made all the taxiways of the LFRS airport with photoreal textures. It's very nice. I maybe will distribute this scenery in the future. You can see the result in my new scenery "Nantes ville" . The Hospital Helipad is made with this type of texture. would it be possible if this could be explained in more detail. I have been able to get a reflection to occur when it rains and it turns off when the rain stops, so the settings must be close, but the only effect map i can use is the Global Environment map so is like the window relfections rather than the runway water relctions. Does anyone know the name of the default rain reflection map? I have the FresnalWater.bmp in the fresnal map, but am assuming i need to specify a rain effect bmp or make one. 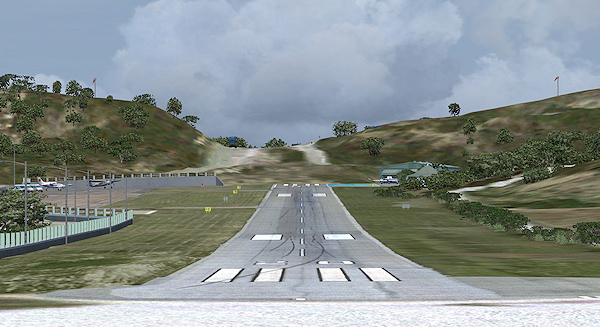 For make runways and taxiways, i make a Fsx texture wiht four or five maps. The bump texture is important to change the glass effect to a rain-effect. For make you onw reflexion texture, you can use the N-vidia pluging for Photoshop. You create one image in 1536x256 (6x256). Eatch part of 256x256 pixels is a internal face of a virtual cube. The order seems to be left, Front, top, bottom, back, right. For the result of my work, see my new scenery of St Pierre & Miquelon (http://marcoh.gratisim.fr) or search on AVsim. Thanks mate, contrary to popular belief i to have been haveing some succes in creating FSX ground poly detail with Full FSD SDK2 compliance. 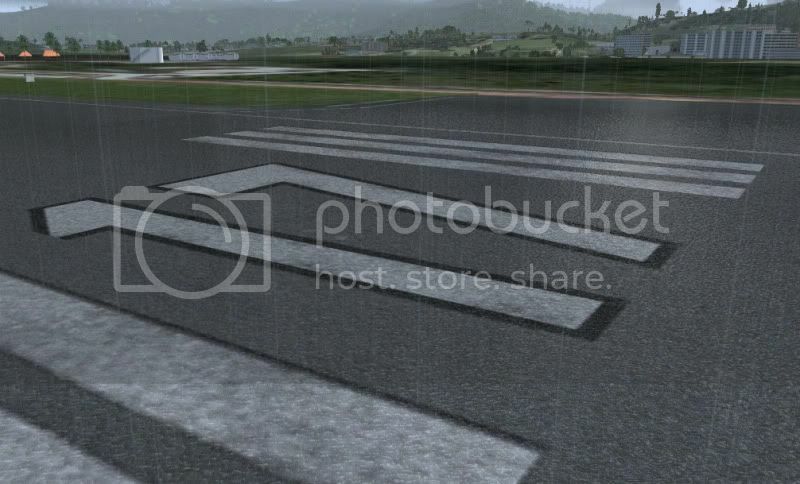 I now have a fully fuctioning FSX ground poly with cool detail map, bump map and rain effects. Thanks for your help. its pretty tricky to get such a large poly looking right, as you need to shape the poly to match the earth surface. SP1 for YMML will include this. SP1 will make my scenery 100% fully FSX-SP2 SDK compliant. No Z bias, shadows and lights work on it, no floating edges. The results are just fantastic!!! 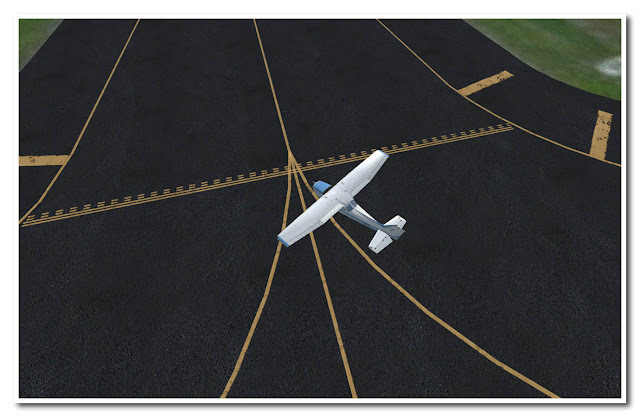 Is there a secret for getting runways/taxiways from the FSX gamepack? Did you do anything differently Marty? your scenery are awesome man, and sloped runway too.outstanding work!! This is a 4yo thread! how do you make a sloped runway? I tried this method explain before, by Marcoh, but without good result for me ! I'm also sorry, I'm not very easy with the English speak, I live in Belgium, french speak ... Then, I'm very sorry if you not very understand me, with my explain ! For apron and taxyway, I make my personal texture and poly with sketchup, I put in FSX on the ground over the ADE apron and taxiway for have a solid material under my texture poly, made with MCX ! (I'm not satisfaction with ADE for apron and taxi result ). Well, all best except when under rain, not possible activated the rain reflexion on this surface. I tried a lot of possibility in MCX but never find the corect parameter ! That's my parameter tried in MCX ... do you see some error or suggest ??? As a result, unfortunately, FSX advanced material parameters are not supported. Precipitation / reflection is one of these parameters. Thank you ... I think you are unlocked the situation about my problem ! Actually, this has been disscussed. http://www.fsdeveloper.com/forum/showthread.php?t=22930. 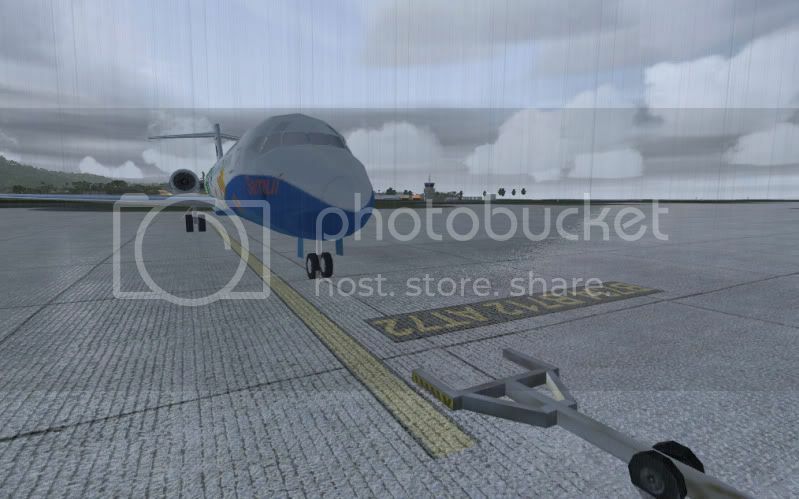 Do not use MCX, it will convert your ground poly to FS2002 style, no rain reflection. You need to do in FSX gmax game pack and export it as mdl and place this layer with XML. Set up the material as it is discussed in that thread. When you say altitude material problem, do you mean the polygons flicker? That's a normal side effect of using mdl files for ground polygons. That's why most people use the fs2002 style polygons. As mentioned in many of the other threads about this problem, it needs a lot of tuning to remove the flickering when using mdl files for ground polygons. You probably need to add a lod where the height above the terrain keeps increasing.